What or who determines an emergency? Is it the amount of physical damage done to a community or area, as with Hurricanes Katrina or Sandy? Does the number of lives lost constitute an emergency, as in the case of the Charleston, Sandy Hook or San Bernardino shootings? Does it matter who the victims are? Does it matter where the disaster is located? Is the outpouring of support related to whether the disaster is natural, man-made or due to civil unrest? What exactly is the impetus to make government change or suspend daily functions to address the emergency at hand? What specifically determines the type of response and commitment a community receives from its government as a result of a disaster (e.g., types of services offered, resources available, post-trauma treatment, short- and long-term support)? 1) Flint is a low-income, predominantly Black city that has been under the authority of a state-appointed emergency manager for the last four years. 2) The transition from the Detroit water system to the Flint River system was a purely economic decision. 3) Records indicate that as of April 2014, Flint’s water supply had been contaminated with lead and soon thereafter residents began to complain of the water’s taste, color and odor. 4) At least 10 people have died as a result of Legionnaires’ disease and 77 others have become ill.
5) Approximately 8,600 children may have been exposed to lead through drinking the city’s water, while Michigan’s most recent report shows at least 43 people have elevated levels of lead in their blood. This story is heartbreaking. Dominant rhetoric would lead you to believe that not having access to clean water is not an American issue. However, it is happening! In my judgment, the water crisis in Flint is an egregious act of willful incompetence. Michigan officials belittled the complaints and concerns of residents about the quality of the water. As of August 2014, boil-water advisories were issued to residents after bacteria were found in the tap water and by February 2015, significant amounts of lead was detected in drinking water in residents’ homes. Throughout the entire duration of these events, families were forced to drink, cook, clean, bathe and rely on a contaminated water source for their daily living needs. Finally, in January 2016, a state of emergency was declared and the National Guard was called to aide in the distribution of drinking water and filters for residents. Why did Michigan officials wait so long to respond? Why did the concerns of Flint residents fall on deaf ears? What role did the demographic composition of Flint play in government officials’ responses (or lack thereof)? Arguably, this crisis would never have happened in Walled Lake, Ann Arbor, St. Claire Shores or West Bloomfield (all affluent white communities in Michigan). It appears Michigan Governor Rick Snyder is only responding based on the national attention the crisis has generated. In his State of the State address, Governor Snyder declared he will not resign and wants to make it right. My question is: how exactly can he do that? The children exposed to lead will forever be impacted. The Mayo Clinic confirms that children under the age of 6 are especially vulnerable to lead poisoning, which can affect mental and physical development. Adults are also likely to experience significant health problems. The financial cost of short-term treatment and long-term care and support exceeds any cost savings that may have been gained by switching the water supply system in the first place. 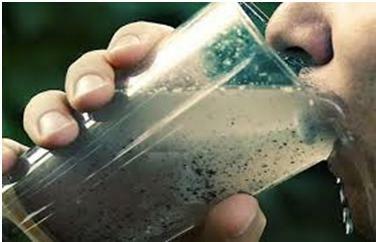 Subsequently, who will face the consequences for poisoning Flint residents? Beyond the initial suspensions of two Department of Environmental Quality officials and the resignation of an Environmental Protection Agency official, who else is going to be held accountable? Governor Snyder declared, “Government failed you at the federal, state and local level.” Does that mean the Governor will be held accountable for his and his administration’s incompetence? If a Flint resident were identified as being responsible for poisoning the city’s water supply, he or she would be persecuted. Ironically, city government continues to charge people for the poison water running through their taps and threatens to foreclose their homes or take their children away if they refuse to pay. Parents are essentially facing child endangerment charges for not paying bills for contaminated water—a problem created by the government in the first place. However, it is obvious the same rules do not apply for leadership. While my hope is Governor Snyder and all of his associates will face criminal charges, the reality is that beyond his testimony before Congress the status quo remains with lots of talk and no accountability. Herein is the reason why many people view government as uncaring, incompetent and oblivious to the needs of its citizens. However for low-income persons of color, this legacy is all too familiar. Author: Brandi Blessett is an assistant professor in the Department of Public Policy and Administration at Rutgers University-Camden. Her research broadly focuses on issues of social justice. Her areas of study include cultural competency, social equity, administrative responsibility and disenfranchisement. She can be reached at [email protected].